The first day back after an amazing vacation - whether long or short - is always the hardest. How does one detach herself from the freedom that was short-lived? It's always difficult, no? But a quick vacation is better than no vacation at all. That's what I'd say. After all, it is summer. I got back form my trip to Cagbalete Island in Mauban, Quezon last Monday and have been busy with work since. Currently, I am nursing a terrible sun burn due to the lack of proper sun block or tanning lotion. So, I have been scrambling all week to make myself look decent at work... patches of uneven skin aside. Which means, I haven't been able to shoot all week! Thankfully, I've managed to save a few looks from last week and am now able to post one for today. This beautiful dress is a bargain buy from a random mall stall in Alabang Town Center for roughly 400 Pesos. Since I got my hair colored, I have been gravitating towards green pieces because they bring out the color of my hair. Don't you think so? Speaking of shopping, tomorrow marks the first day of the Manila Sundance Bazaar! 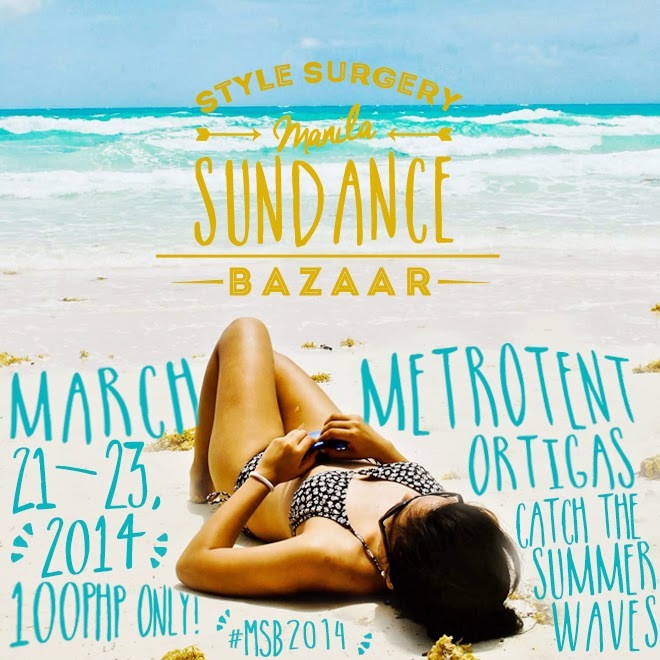 The theme is beach chic, so make sure to be in your summer's best when you go to Metrotent, Ortigas. Entrance is only P100. I'm glad to be one of the partner bloggers yet again, so please do drop by! I won't have a booth, though, as I don't have enough time to prepare. But say hi if you see me roaming and shopping there!